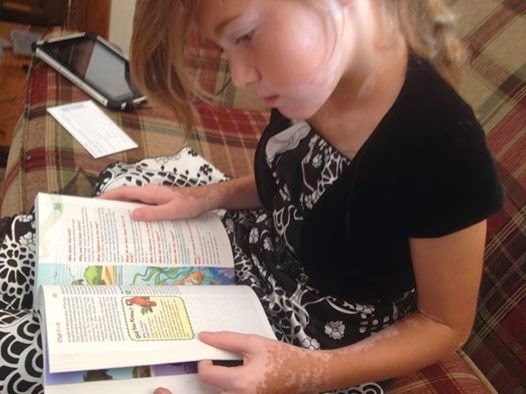 NIrV Adventure Bible is an outstanding, easy to read Bible for your younger readers. "Ready for Adventure? The Adventure Bible for Early Readers takes you on a fun, exciting journey through God’s Word. Along the way you’ll meet all types of people, see all sorts of places, and learn all kinds of things about the Bible. Most importantly, you’ll grow closer in your relationship with God. Here’s a quick tour through the features: “Life in Bible Times” Articles and illustrations describe what life was like in ancient days “People in Bible Times” offer close-up looks at amazing people of the Bible “Did You Know?” provides interesting facts that help you better understand God’s Word. “Let’s Live It!” include hands-on activities to help you apply biblical truths to your life. “Words to Treasure” highlight great verses to memorize. A Dictionary/concordance for those tricky words. Book Introductions for basic facts about each book of the Bible (who wrote it, where it took place, and why it was written). 20 color pages with games, a scavenger hunt, and other Bible fun, with a jungle safari theme. 8 pages of color maps." This has been a great Bible for breaking down some of the harder verses and making them more manageable for young readers. My 11 year old has had this Bible for years in hardcover. My 9 year old saw that this came in softcover and claimed it immediately! She is working on memorizing verses for Sunday School and we took at look at the NIrV versus my NKJ version for the Fruits of the Spirit. "But the fruit the Holy Spirit produces is love, joy and peace. It is being patient, kind, and good. It is being faithful, and gentle and having control of oneself. There is no law against things of that kind." Same meaning, just breaks it down a bit more for kids to understand and memorize more readily. The Bible is bright and colorful not only on the cover but throughout the book. Additional reading on Bible Greats, Ten Commandments for Kids, Timelines, and more. Beautiful map section in the back! 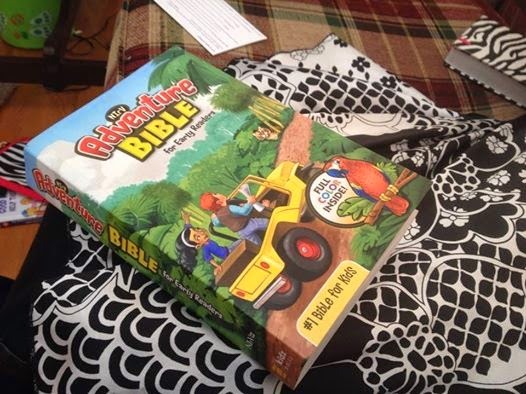 Outstanding first Bible for early readers! !